West Sechelt VIEW HOME on a quiet cul-de-sac. This grade level entry rancher w/full basement is sure to impress. The open concept kitchen w/quartz counter tops has stainless appliances and center island for hosting family & friends. Pass through the living room and onto the sizable deck to take in the ocean views. 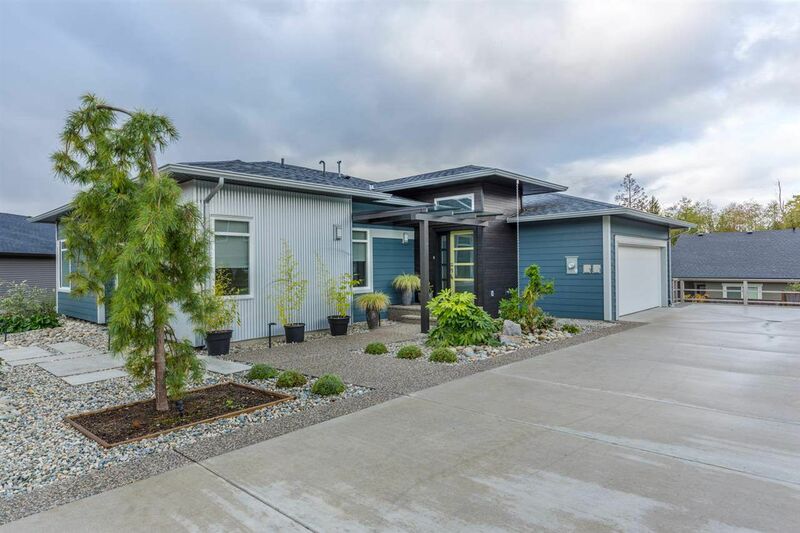 Downstairs you will find ample storage, a large rec room w/polished concrete floors and a full legal suite for the in-laws, The yard is meticulously landscaped for low maintenance care, w/raised garden beds, various plants and shrubs and a full sprinkler system for watering. Hot water on demand, radiant in floor heating in the master ensuite, and a Valor natural gas fireplace in the living area are just a few of the upgrades.